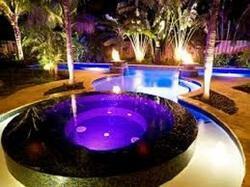 Pioneers in the industry, we offer jacuzzi spa pools from India. We are one of the trusted names engaged in designing SPA Pools that are appreciated for their comfortable sitting, powerful jets and easy to use controls. These are usually heated using an electric or natural gas heater, though there are also submersible wood fire hot tub heaters, as well as solar hot water systems. • Used by more than one person at a time.